Nyx, primordial goddess of the night, married to Erebus (darkness) mother of Hypnos and Thanatos. 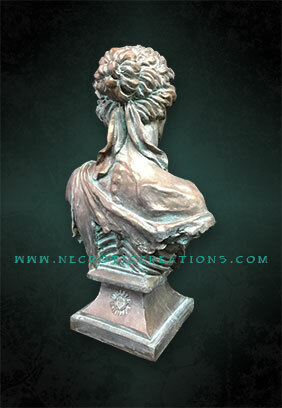 She will provide a unique dark touch to any home, office or haunted decore. She makes a decidedly gothic statement as a solitary focal point. Or buy two and give one to a friend…. 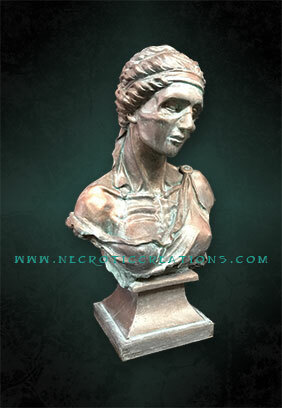 She can also be used as a customizable accent to a project such as a home haunt, mausoleum, or cemetery gate. 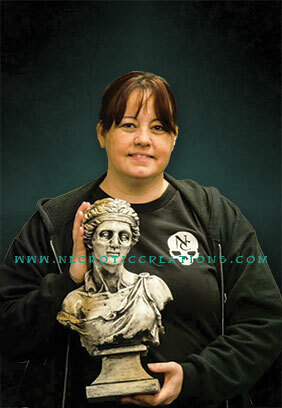 Hand cast from a mold of an original sculpt in a durable expanding foam, she is sturdy but lightweight. 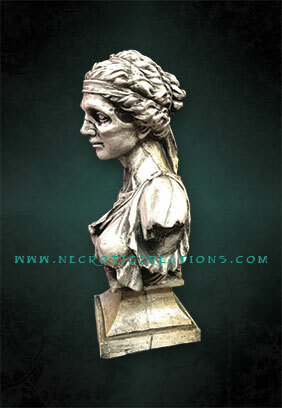 Available in a variety of custom finishes; or you can receive her unfinished so you can match her to your own project. A perfect gift for the gothic lover in your life.